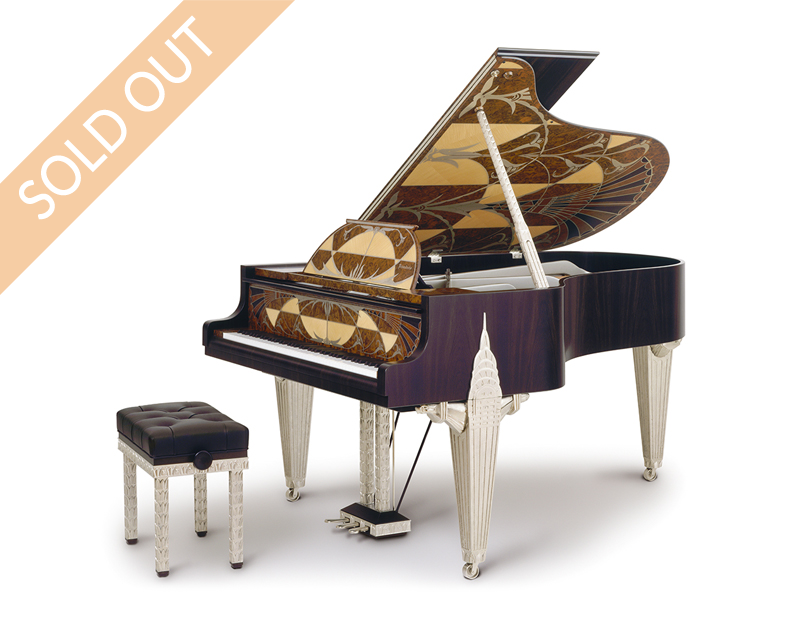 The design for the Chrysler grand piano has been developed by Bösendorfer from the original Harrods concept. 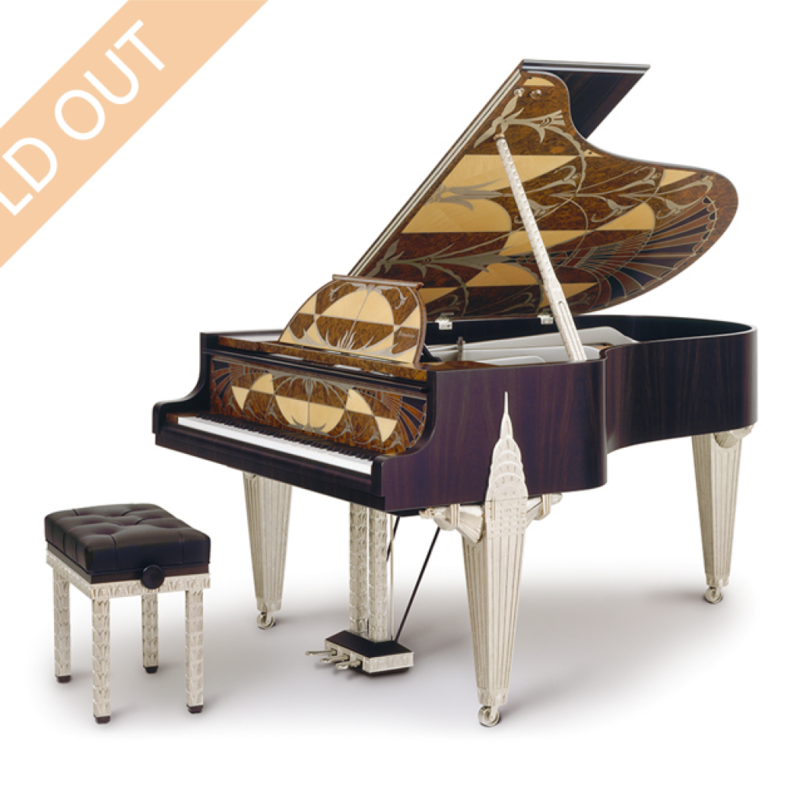 This superb instrument is a work of art that combines Bösendorfer’s precision craftsmanship in design and its tradition of piano manufacturing that is known all over the world. The background veneer for the whole piano is dark oak. The lower side of the lid, the fallboard and the music desk, are made up of an intricate pattern of brushed stainless steel and veneers including burr walnut, amboyna, figured maple and dark oak.